High safety and flexible system configurations were the design principles during the development of the RS series Lithium-Ion batteries. A modular and compact design makes system integration more flexible, especially in refit projects. Adding redundant BMS and a unique cell-to-cell propagation protection takes safety to the next level. The liquid thermal management keeps the battery cells on temperature to extend cycle life and improving the peak power performance. These features makes this battery suitable for large energy storage applications as well as small peak power packs in hybrid solutions. The liquid cooling system makes it possible to use the RS series battery in high peak power applications, like hybrid solutions where high power demands for short times are required. 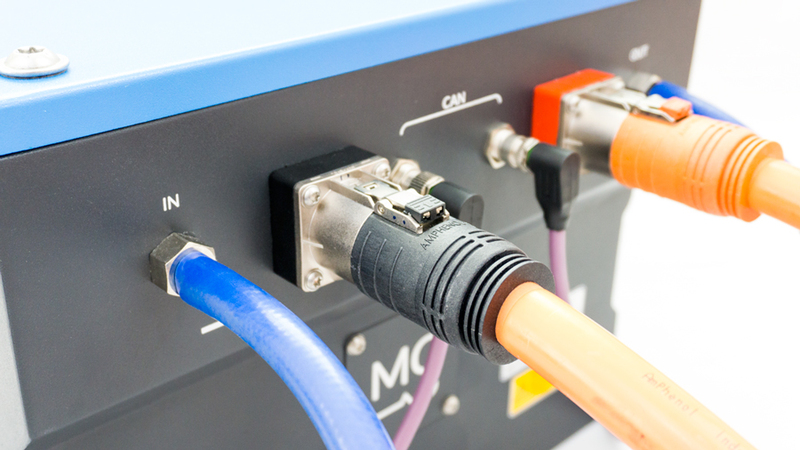 The charge/discharge power of the module can go up to 3C continuous and 10C peak. Each battery module has an integrated BMS measuring cell voltages, temperatures and controls balancing. 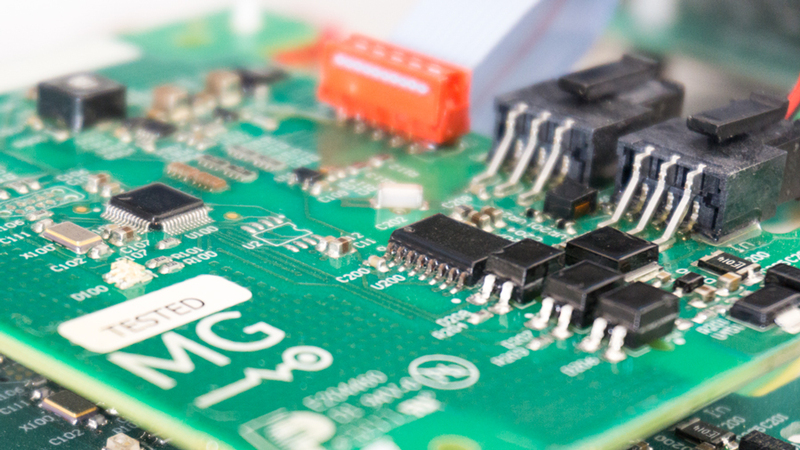 This BMS communicates with a battery management controller like the MG Master HV. If the measured parameters exceed the limits, the battery management controller will automatically take action. Besides this software protection, a redundant BMS is added to each battery module having an independent hardwired protection mechanism to achieve maximum safety. The unique cell-to-cell propagation protection consists of an active and passive protection barrier between each cell. These barriers are integrated in the advanced cell cassette design. One of the main features of these protections is to remove the heat from the cell that has a thermal runaway event as quickly as possible to prevent other cells from heating. This solution mitigates the risk of large uncontrolled battery fires. 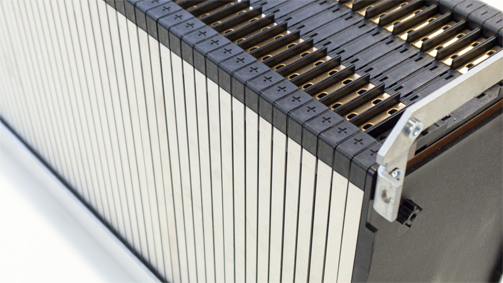 The BMS inside each battery modules is provided with a unique chip to detect thermal runaway events minutes before they happen. This feature makes it possible to send warnings to users or even activate mitigation systems minutes before a thermal runaway event. Due to a combination of the latest battery and motor technology the electric E4 runs 60% quieter than conventional models, but 33% faster and 50% more powerful. This may be the best amphibious craft yet. SX88 is a revolutionary superyacht by Sanlorenzo, characterised as a crossover between a compact explorer and a flybridge yacht. Due to MG’s battery system, it’s also a crossover between its sustainable inside and its natural surroundings, cruising for hours with zero emissions and without any sound.